Topped with a flat, dome-shaped tuft, this do-it-all brush effortlessly blends and softens eye shadow in a single stroke. Use it to buff concealer to a smooth, airbrushed finish—it's an all-around blending superstar! Brush 06 is also available with The Collection. 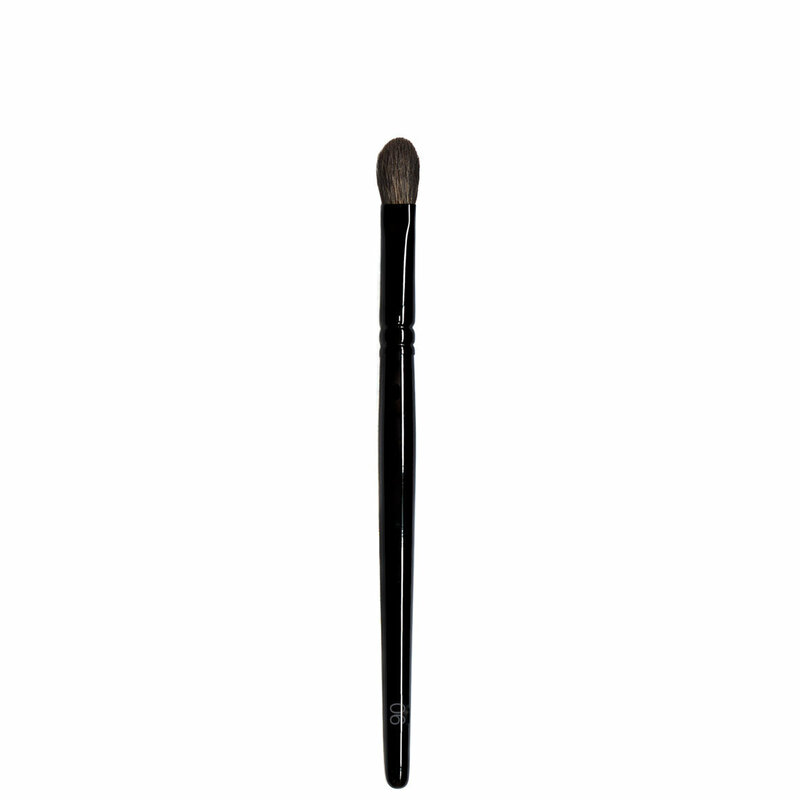 Use Brush 06 to apply color to the entire eyelid or to blend eye shadow with a sweeping back-and-forth motion. Blend concealer under the eyes with a circular buffing motion. 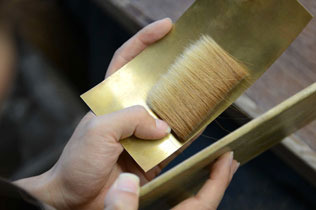 For more precise application, hold the brush on its side. 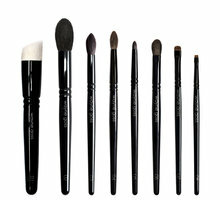 Brush 06 can also be used for contouring and highlighting hard-to-reach areas, such as the nose and cupid's bow. I bought this in the hopes that it would live up to the claims from other reviews I've read about it being a 1-in-all brush that will allow you to complete your entire eye look with. 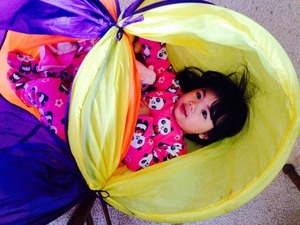 While it blends nicely, I find it too soft and not dense enough for crease application. I was also disappointed when I saw stray hairs after taking it out of the package. For comparison purposes, I also ordered the Chikuhodo T-7 and that brush is higher quality with just the perfect amount of density and hair length to blend perfectly and apply crease color (I tested each on separate eyes). The T-7 also blends a bit better than the Wayne Goss 06 and is a little less soft, but that doesn't bother me. The T-7 also did not have any stray hairs out of the package. Hoping the quality will improve in the future. I bought this to add a second blending brush like the sigma E25. I just thought it would be nice to have a second. Well. I was disappointed when I saw the brush. Gorgeous. But the shape wasn't what I was expecting. It was flatter than my e25. But, I was determined to try it out a couple times. And after trying it once I'm in love! It blends far better than the E25 and is so soft. There is absolutely no pulling on the skin, just a gentle blending that produces amazing results. Who knows. Maybe I need a second 06 and the e25 can go to a friend! Versatile & fantastic for sensitive eyes! 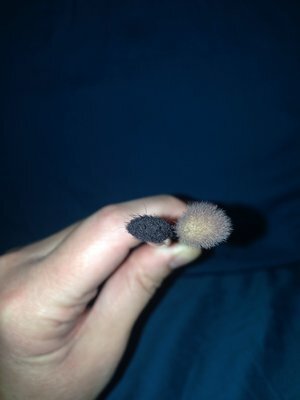 I have extremely sensitive skin around my eyes and I often chose not to wear eyeshadow because I couldn’t be bothered with the irritation that I got from using brushes like my MAC 217. 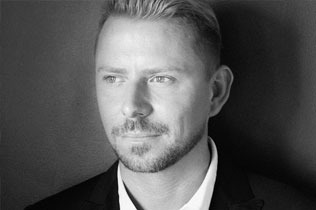 After using Wayne Goss eye brushes for a while now, I will be passing my other brushes on to friends with less sensitive eyes. 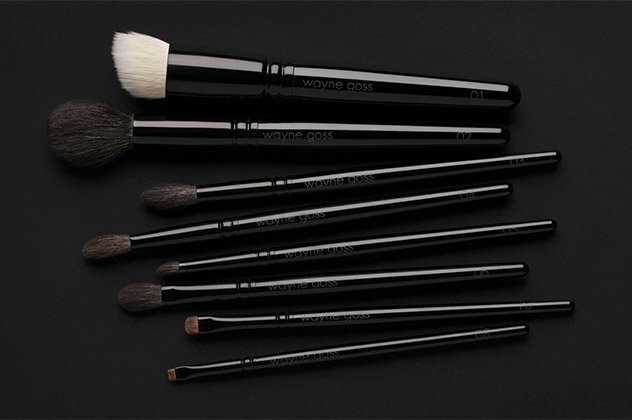 The Wayne Goss brushes are extremely soft and now I wear eyeshadow whenever I wear makeup, which makes me very happy. Brush 06 is my favourite of the eye brushes I have. Its a higher quality version of the MAC 217, works better overall, is far softer, washes nicely, and as a low-key goth I prefer the all black handles! It’s the most versatile eye brush I’ve owned, as its fantastic at packing on colour, horizontally it deposits colour in the crease really well and I can even do a cut crease with it, vertically it blends like a dream, and I have also used it to set my under eye concealer, all with no irritation at any stage! It’s a really great brush that I fully recommend and I want multiples so I don’t have to clean it as much! I use this to add color to my eyes, it is the perfect brush for matte and shimmer powders. I have had zero fallout and it is so soft around my eye area. While the set appeared to have way too many crease brushes this one really stands out as a staple for eyeshadow application. If I was forced to take one eye brush on vacation, this could be the one. Because of the shape and taper of the brush head, you can do a cut crease, lay down color, do a wash of color on the whole lid, and blend effortlessly. It also performs beautifully to powder under the eyes (or any other spot) as well as to blend out when you spot conceal. I like to use it with a brightening powder to strategically apply it around my brows, lips, etc. Soft, high quality and feels so nice on the skin. I was most impressed with this brush! I bought brushes 1,2 and 6, and although I am in love with all of them, I was least expectant of this one, so when it delivered like I could have never imagined, I was definitely impressed! I have several high end concealer brushes that wish they were this brush. I have occasional trouble with acne, and have always had trouble concealing all of them. This brush did it fabulously! After applying my primer and concealer, it was so flawless, I could have done without anything else! That has NEVER happened! Like I said, in love! The Standout & My Favorite! I LOVE this brush. It is soooo soft. I reach for this one the most. I bought this one in the set and bought an extra one because I use it so much. I would recommend it, hands down. I am so glad I decided to purchase this brush and the holiday brush. I like how the tip is flat enough to place shadow along the crease line. I am waiting for brush #4 to be in stock. I was torn between Brush 4 and 6, and so far I am SO happy I chose 6! It's truly a multitasker; I can see why some people buy multiples of this brush. Feathery soft and pliable, it is gentle on my hooded eyes and fits well into the crease. Thank you Wayne for these beautiful tools! this brush is perfect for applying color all over the lid. it does not create harsh lines and just glides along my sensitive eyes with no irritation. Not a packing brush for sure but definitely a great brush for an even application and wash of color.